Glimpse of the Garden: Week 9, Preparation and Procrastination! It has been a weird spring as far as weather goes. We had a hot spell resembling summer, then a week full of frost warnings, and dry, drought-like soil conditions, finally we've had hot humid weather with some wild thunderstorms. My veggie starts are grown and ready to go in the ground, and I think they will finally get there this weekend. Although in some ways I have procrastinated, with frost warnings, dry weather and downpours it has been easier to keep the young plants safe and watered inside or in the cold frame. You might be experiencing dry conditions this spring too. 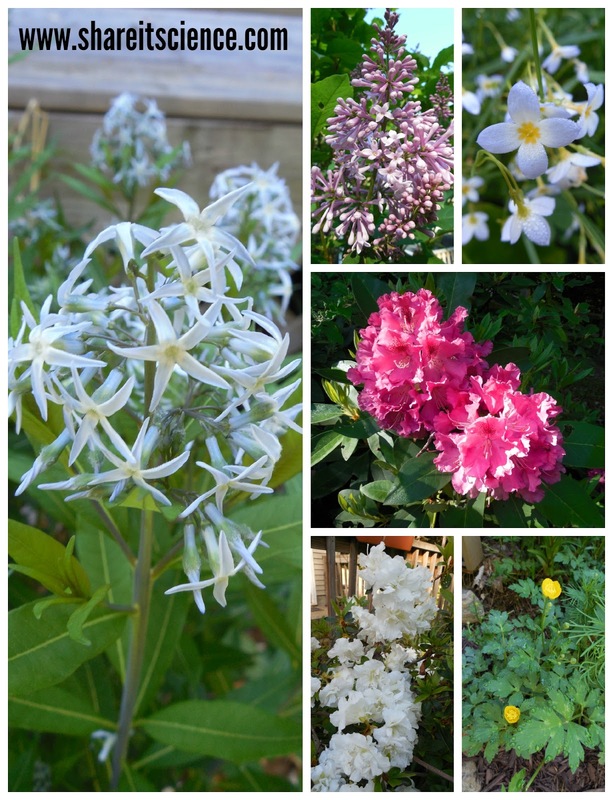 For a few tips on successful gardening during drought, check out this recent post from Renee's Garden. 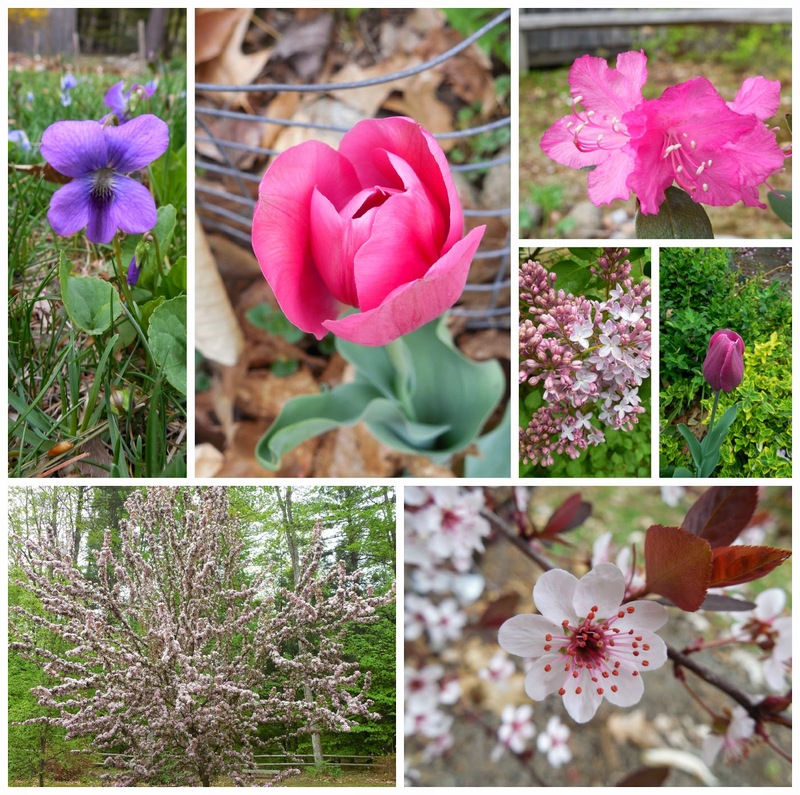 I use a lot of Renee's Garden seeds to grow my flowers and vegetables, I've included many of my favorites from Renee's in my post Grow a Themed Flower Garden with Your Children. If you missed it, you might want to check it out! Last weekend we cleared and loosened the garden soil and flipped the compost in the compost bin to prep the garden. We've done the preparation, now we just need to get those plants in! Do you compost? We are lucky that we have the space and live in an area where we can compost just about all of our food waste in an outdoor bin. I am not afraid to admit that I love composting. There is something magical about how quickly nature recycles itself. We compost food scraps, mulch yard waste and even have a worm compost bin in our basement. (Yes, I have worms in my basement!) Stay tuned for future blog posts where we investigate composting further! Not too many new flowers blooming this week, but plenty of buds. Look forward to glimpses of the veggie garden and some new blooms next week! It's your job to hold me accountable- no more procrastination! Today we are celebrating my 100th post on Share it! Science News. This blog has come a long way since that first post on the discovery of the dinosaur Dreadnoughtus! Thanks for reading and making this possible! 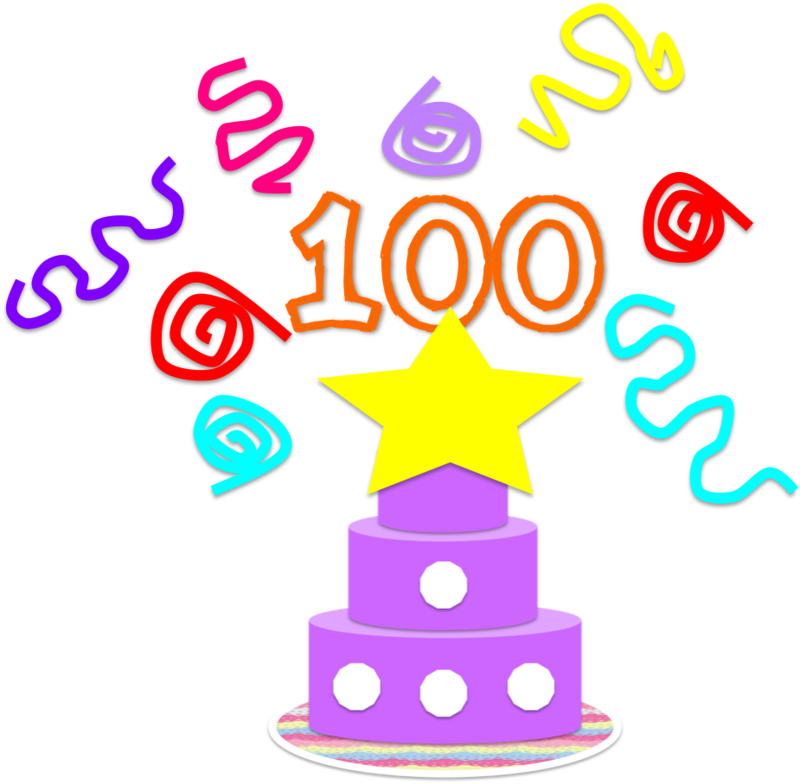 I thought it would be fun to celebrate 100 by taking a look at other "100s" in science! 100 years ago this year, Albert Einstein published his theory of general relativity. The theory, or just "relativity" as it has come to be known in the physics world states: "that all motion must be defined relative to a frame of reference and that space and time are relative rather than absolute concepts". The original general theory deals with gravity, and the second part of the theory, special relativity (that would come later) deals with uniform motion. Recently, the Hubble telescope took some images that provide evidence for Einstein's theory, a nice 100th anniversary present I'd say! Another anniversary, maybe less famous, yet still influential to science, takes place this year. Pyrex glassware is 100 years old! In 1915 Corning Incorporated introduced a line of borosilicate glassware for use in laboratories. This glassware was low-thermal-expansion, meaning it could handle temperature changes without cracking. This glassware also had many uses in the kitchen and is still used in kitchens and labs today. Now Pyrex sold in the United States is made of tempered glass, but in other parts of the world it is still made of the more expensive borosilicate. I use this glassware at school and at home! You can enter to win some kitchenware at their 100th anniversary website! Pluto was photographed for the first time. Proxima Centauri, our closest star besides the Sun was discovered. The theory of Pangea was published. The term "fight or flight" was coined to describe animals response to threats. The National Advisory Committee for Aeronautics (the precursor to NASA) was established in the United States. Have you ever wondered what the top 100 most cited scientific papers are? Check them out here. Did you catch Popular Science's Best 100 Innovations of 2014? If you missed these cool gadgets and inventions check it out here. How about Discover magazine's top 100 stories of 2014? Do you have an interesting science 100? Comment below! I'm very excited to make it to 100 posts! Glad you've been along for the ride, here's to more science to share! 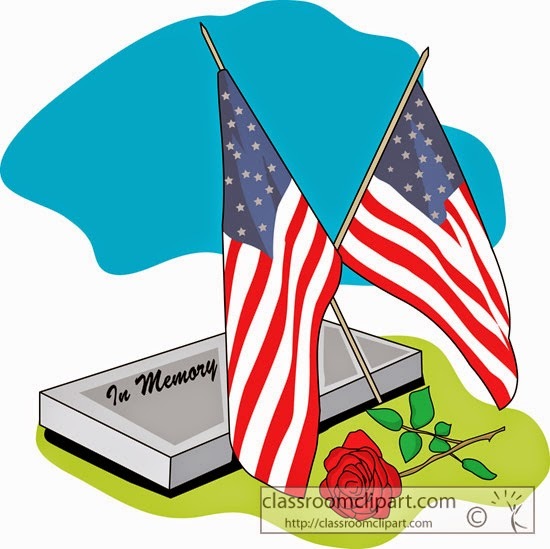 I hope everyone is enjoying their Memorial Day weekend and that in addition to the unofficial start of summer you've taken a moment to remember the true meaning of Memorial Day! As the summer has unofficially started, have you given any more thought to what the kids will do over vacation? If you are still looking for ideas, check out my post on how to keep kids busy in fun and educational ways throughout the summer months: "Over 13 Ideas to Keep Kids Engaged in Science All Summer Long". Stay tuned to Share it! Science throughout the summer for activities that can easily be completed at home. Let's beat the summer slide and keep those little brains active! A couple of weeks ago I was very excited to see the red trillium blooming in the forest along our road. These are beautiful flowers with a fascinating life cycle. In many areas they have protected status because they are rare. You'll recognize them by their pointed petals and leaves in sets of three- the reason for "tri-" in the name trillium. 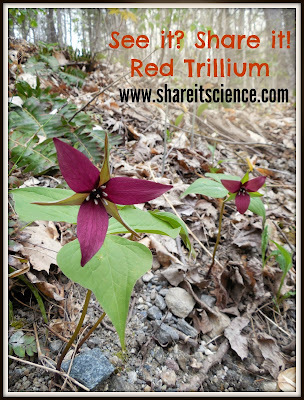 There are several different types of trillium, but those we have growing along our road are red trillium, Trillium erectum. The reason these flowers are so rare is that they only grow their above-ground parts: leaves, stems and flowers, during the springtime. The remainder of the year only the underground root, in this case a rhizome, remains. This means the plant can only go through photosynthesis, the process in which is makes its food, during this short window of time. If you pick the flower it cannot make food to produce a flower the following year, and therefore will die. Ants help the trillium flower to spread their seeds. The ants are attracted to the fruit left behind when the beautiful flower wilts. The ants bring the fruit to their colony to eat, but then throw the seed portion "away" in their "trash" pile. The ants are helpful to the flower by planting their seeds for them! In my opinion, the trillium flower is one that you should enjoy where it is growing, rather than picking. You can check to see the threatened and endangered status of plants in your area through the USDA's Threatened and Endangered Plants Database. Each year I buy a bag of onion sets from our local farmer's co-op. As I am getting ready to get them in the ground, I got to wondering- why do we call them onion sets? 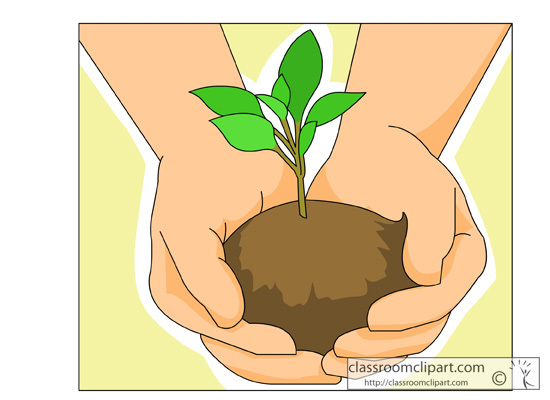 What is the difference between a set and a seedling? An onion set is one onion, not the entire bunch, like a set of dishes. Many onion sets are grown near Chicago, a place Native Americans named "Shikako", or "skunk place" after the smell of wild garlic, onions and leeks. Although you can grow onions from seed, they have long growing seasons, so it is not the easiest way to do it for a small scale gardener like me. The onion sets are grown from seed, planted very thickly so that they must compete for resources. The added competition stunts the growth of the onions and the bulbs stay small. 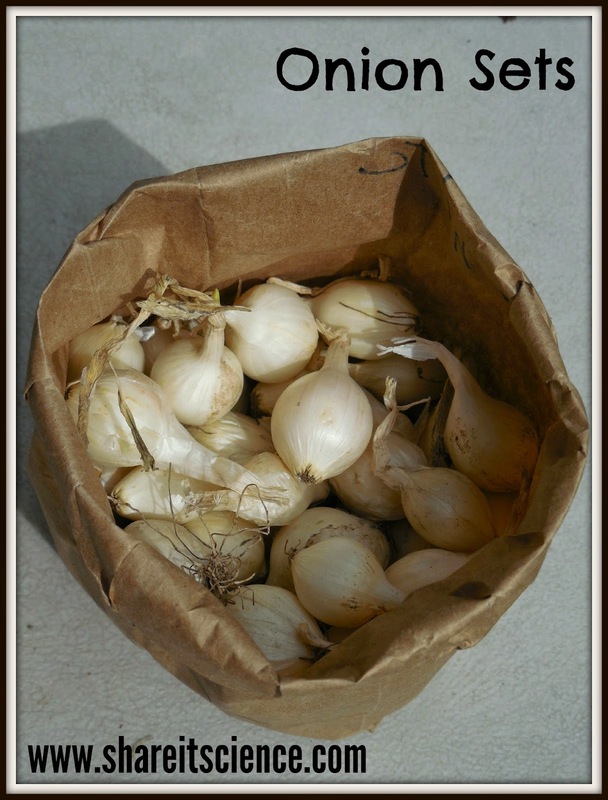 These small onions are harvested late in the summer and thoroughly dried so that they will not rot in storage. They are stored until the late winter/early spring when you can start to buy them in your local gardening store. The difference between a seedling and a set is a seedling is an onion sprout that is grown directly from seed, and a set is a small onion that has been grown and harvested the season before. In other garden news, the spring flowers continue to bloom and amaze me. Outside is buzzing with bumblebees and we've spotted our hummingbirds back to visit the azaleas and lilacs! Learn about a fascinating video series from the American Museum of Natural History, then find out how to win some tickets to visit the museum in New York City! Details below. Do you collect things? I have always been a collector of natural history- nests, feathers, insect exoskeletons, rocks, seeds, etc. Each specimen allows for a closer look at an organism, a deeper understanding. Perhaps my affinity for natural items is what has encouraged my students to bring me all sorts of treasures throughout the years from animal skulls to fungus samples! If it weren't for collectors, science would come to a screeching halt. Historical collections and modern data can help us better understand the world. 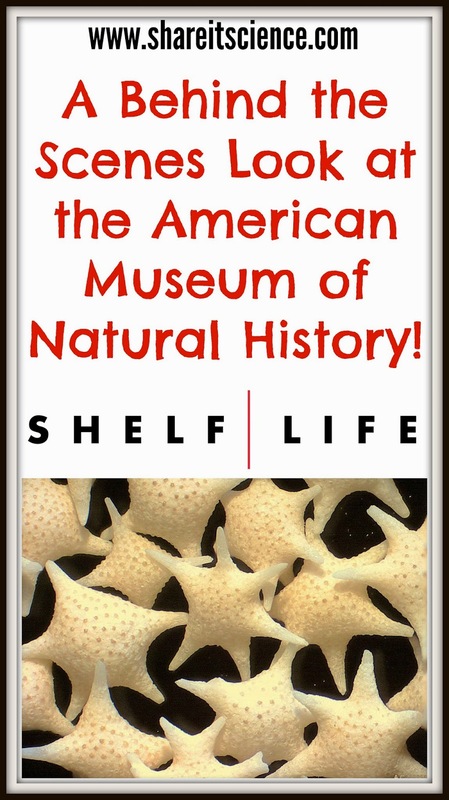 A collection of over 33 million artifacts and specimens is the focus of Shelf Life, an incredible video series by the American Museum of Natural History (AMNH). Shelf Life is a free, monthly video resource that tells the stories of different organisms and collections at the AMNH. Any natural history museum has many more artifacts than they could ever possibly display, however, the public rarely gets a peek into these incredible archives. Shelf Life provides this opportunity. Each video is under 7 minutes and is chock full of the stories of scientists from a diverse array of fields of study. These are brief, yet informative narratives on how curators and researchers work together to preserve collections in modern ways and use old specimens to inform current science. Shelf Life is not only enjoyable for anyone interested in science, but has many applications in the classroom. Each video is accompanied by additional information on the AMNH website. The short length allows these video clips to be a great launching point for an upper middle school, high school or even a college science lesson. Data collection: You've collected it- now what? What a great launching point for discussion on the importance of making sense of the data you've collected when completing a lab or investigation. Diversity of careers in science: How many different fields of science are represented in these videos? What are the different jobs that each of these projects requires? Use these incredible researchers and wide array of topics to spark an interest in science careers in your students. Taxonomy and organization: Why do we organize and categorize different organisms, rocks, stars? How do we organize it all? Why is this important in communicating science with each other and moving research forward? Precursor to a field trip: Before you visit your local natural history museum, how can these videos give your students insight into what is on display, its importance and the work behind its preservation? Preservation: How do we preserve specimens? How is new technology helping us to do so? A launching point: Each episode of shelf-life is a launching point for hundreds of different questions. What direction will your students lead you? I dare you not to learn something new while watching this episode on Foraminifera! Right now you might be saying, "foramin-wha?" but I promise, 7 minutes from now, you'll be in love with them too. Create Your Own Natural History Museum! Perhaps after watching Shelf Life you'll be inspired to build your own collection. This activity is fun for all ages. Do you have a shelf in your home or classroom that can turn into a miniature museum? Preschoolers through adults can enjoy this type of activity, whether it is collecting acorns or lichen, photos of plants or hand-written star observations. Be sure to provide field guides or other resources for students to use to identify and learn about what they are collecting. Leave a log book where students can catalog their specimen and write down further questions and wonderings about it. If you find history, science and museum curation fascinating, check out my post from earlier this week on how a historical document brought to light new information about some really weird extinct species, and this article from the Student Society for Science: "Cool Jobs: Saving Precious Objects". The American Museum of Natural History wants you to come and visit! They have sponsored our May giveaway- 4 tickets to the AMNH in New York City! One winner will receive 4 tickets to the museum. There are many easy ways to enter this giveaway, just follow the directions in the Rafflecopter widget below to learn how. This giveaway runs from Friday May 15th, 2015 until midnight Thursday May 21st, 2015 (EST). Please note, this post was not sponsored by the American Museum of Natural History. All opinions are those of the author. I'm getting ready to plant some potatoes. I have a mix of an all red variety and some white potatoes. 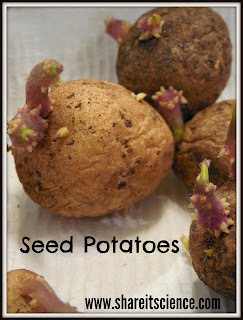 I cut the bigger seed potatoes into chunks and waited a few days for the exposed parts to callus over. There are several ways to grow potatoes, right in the ground or in some sort of planter. I grow mine in a trash can! We tried growing them in the ground the first year we had a garden, but found the trash can technique worked better for us, and with limited sunny space on our property it fit better into my plans to expand our garden through container gardening. I follow the directions given in Grow Great Grub: Organic Food from Small Spaces, by far my most favorite resource for container gardening! If you want to try other planter ideas, you might want to check out this potato tower how-to from Mavis Butterfield. This week many new flowers appeared. 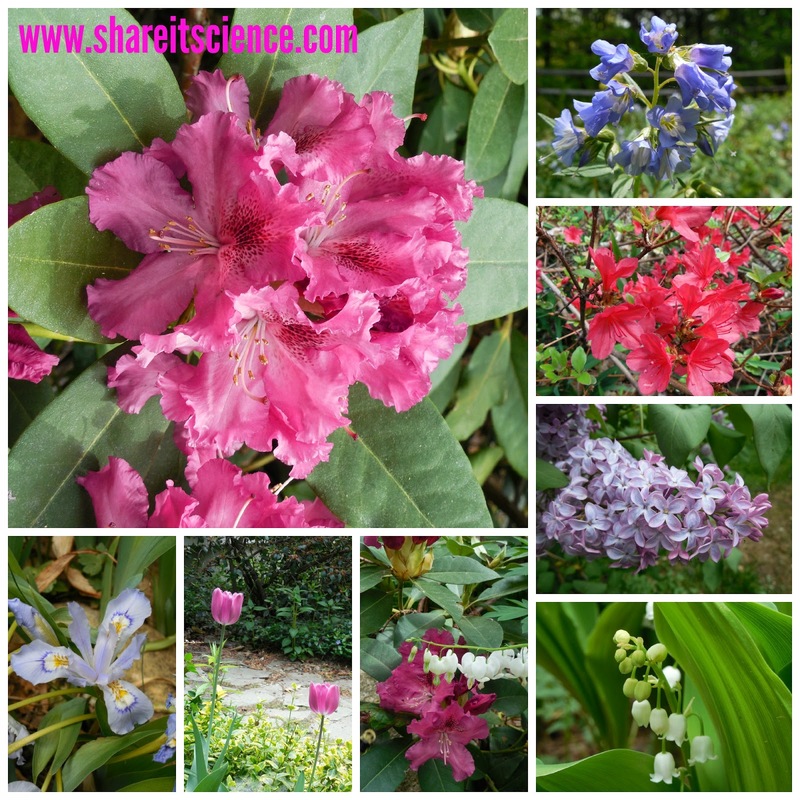 The flowering trees and shrubs are almost all in bloom. I love spring! Check out this affiliate link for the Garden Tower Project- wouldn't this be a fun addition to a school garden program? The raven parrot and the dodo. Learning about extinct and endangered species is a great way to integrate history, social studies and science. When you hear the word extinct, visions of giant dinosaurs probably pop into your head. But the thunder lizards are certainly not the only creatures that cease to roam the Earth. In most cases we are left to wonder and hypothesize about these plants and animals based on the fossils and remnants left behind, but for more recent extinctions we sometimes come across historical accounts that can fill in the gaps in our knowledge. Mauritius is an island nation off the southeastern coast of Africa and was the home of the infamous dodo bird. Not far from Madagascar, Mauritius is also known for its interesting array of flora and fauna. Throughout history Mauritius has been visited and settled by a wide array of peoples, its location making it an important part of trade routes, once known as the "star and key" to the Indian Ocean. When travelers, and later, settlers, came to the island they found the large, flightless dodo an easy and hearty (sometimes up to 50 lbs!) food source. European settlers brought other species like rats and pigs that enjoyed eating dodo eggs. Before long, this descendent of the pigeon was completely wiped out. Turns out the dodo wasn't the only strange new species settlers came across on Mauritius Island. Although we have many historical accounts of the interesting animals on Mauritius Island, few of them are very descriptive beyond how easy the creature was to catch and whether or not it was good to eat. A document has been discovered in the Netherlands National Archive in The Hague that sheds more light on the natural history of the creatures settlers discovered on the island. In 1666 a Dutch soldier named Johannes Pretorius was sent to the island to check on a Dutch East India Company settlement that had not been heard from. He found the settlement alive and well and for a time took on the role of "comforter of the sick", historically a highly regarded position. Several years later Pretorius penned his report on the wildlife of the island while he was aboard a ship to another settlement in Cape Peninsula, South Africa. It is unknown why he wrote this report, but the style of it indicates he was tasked with reviewing the feasibility of Mauritius being a long-term settlement. The report covers all sorts of animals, but the ones that have been most interesting to scientists piecing together this natural history are those of several other peculiar birds that are now extinct. One was the flightless, ill-tempered raven parrot. Pretorius's account indicates that this particular bird was physiologically able to fly, but did not exhibit flying behavior. 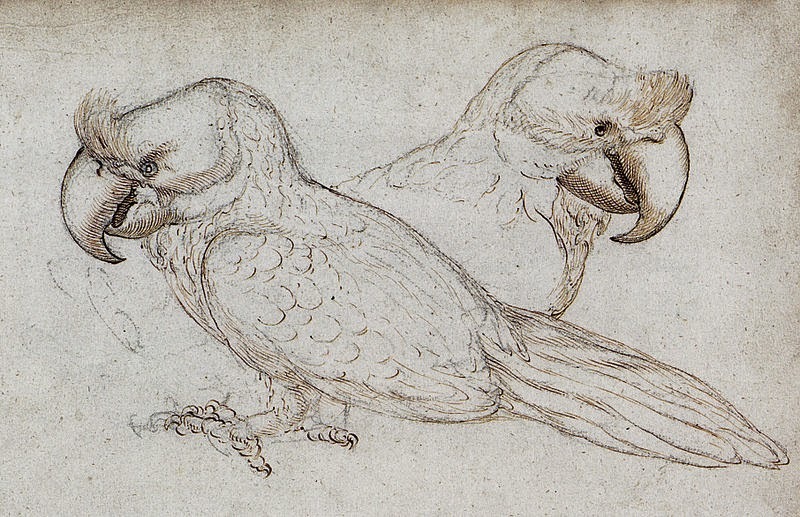 The parrot would not eat in captivity and in general was a force to be reckoned with. Pretorius's descriptions of the bird lead us to rethink our previous understanding of its coloration, rather than just having a dull body with a blue head and reddish beak, it is now thought that it was a very colorful, mostly red bird. Amongst the other birds described was the red rail, which is often confused with the dodo in historical accounts. This was another flightless bird that was noted as being unintelligent, and did not survive long once humans and other introduced species entered the scene. The extinct Mauritius blue pigeon has been depicted in modern illustrations as a bird with a smooth beak, which always puzzled modern scientists. According to Pretorius, the blue pigeon had a warty face much like all it's other relatives! For me, the most compelling aspect of finding this document from a teaching standpoint is how writing accurate observations can more easily and accurately inform other scientists. Teaching communication and detail-oriented note-taking is so important in science lessons. If everyone made their discoveries in a bubble without ever sharing the details we would never get anywhere. So, whether the record-keeping was happening in 1669 on a ship off the coast of Africa, or a science classroom in 2015, writing notes and making observations that are accurately communicated with others is of the utmost importance. This Friday, May 15th is Endangered Species Day. With a little planning and imagination the use of historical documents of extinct animals could be an interesting science activity. How might people have done things differently if they could have predicted the future? How has society and our food system changed in that we no longer depend on eating wild game? What measures are in place now to prevent future animal and plant extinctions? There are so many opportunities for integrating subjects to learn about our history with the plants and animals that inhabit Earth. Check out the links below for some ideas on using endangered species or extinct animals as science topics. Live Science: "Cranky Parrots? Weird Island Animals Described in Long-Lost Report"
Want to keep the kids busy with quality activities this summer? We've got you covered with these science themed ideas. From summer camps, to at-home activities, toys and more, this summer is sure to be educational and fun for your kids. As a former teacher I understand 2 things very well: 1. Students slide back academically over the summer months when they are not getting consistent practice with fundamental skills in reading, math and other subjects, including science. 2. Kids need time to play and be kids. 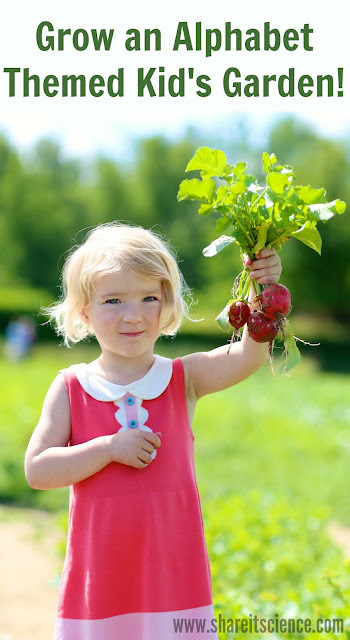 So how do we encourage learning AND play during the summer months? 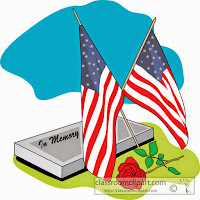 The page contains affiliate links, please see disclosures for more information. National Summer Learning Association: "Know the Facts"
Reading is Fundamental "Keeping Kids Off the Summer Slide"
Edutopia: "Parents: Inspiring Readers Through the Summer Slump"
Homeroom Blog- U.S. Department of Education: "Become an "Education Coach" and Keep the Summer Slide at Bay All Season"
There are many options for keeping kids occupied and educationally engaged over the summer, and they don't all have to involve screens or electronics. Activities include camps, at-home projects, classes, workshops, toys and trips. These obviously vary with the time and budget you have set out for yourself for the summer months. There are more and more options for science related summer programming for kids each year. Many colleges, independent school campuses and community centers are offering themed camps that combine academics and fun. Your local school or community center most likely has a camp fair or other resources for finding these programs. You can also seek them out online. Try these links to help you find some science enrichment for your child at various age levels and costs. Camps can run into a lot of money, so if they don't fit into your budget there are certainly ways to provide enriching experiences right at home with your children. Check out these DIY at-home science camp ideas. If you are creative and have the time you can design your own science activities for kids fairly inexpensively. Check out the Share it! Science Pinterest boards or our "Saturday Science Experiment" page for a variety of ideas for at-home projects. If you don't already subscribe to our e-mail service, please do! You'll get an e-mail every time we publish a new post on the blog. Green Kid Crafts offers award-winning, earth-friendly activity boxes for ages 3-10. Their STEM (science, technology, engineering, and mathematics) Science Kits guide kids through scientific inquiry and experimentation in a fun, hands-on way. Summer Discovery Series boxes contain 4-6 Creativity and STEM Science Kits with extension activities, and online extras. Check out the links below to learn more about Green Kid Crafts. Groovy Lab in a Box sends award-winning, hands-on STEM experiments for ages 8+ to your mailbox monthly. Each box contains experiments and engineering design challenges. Everything you need is included in the box, so no hunting for specific supplies! They also offer bonus material online to support the materials they send in the box. Kiwi Crate provides boxes of hands-on fun for a wide variety of ages. Each box includes 2-3 projects with the option to add-on extra supplies for siblings. Their 4 different brands provide activities for different ages: Koala Crate- "Play and Learn" for ages 3-4, Kiwi Crate- "Open-Ended Learning" for ages 4-8, Tinker Crate- "Science, Engineering and Awesome" for ages 9-14+, and Doodle Crate- "Art and Design" for ages 9-16+. For more information click the image below. You also won't want to miss Steve Spangler's Science Club boxes. Practicing reading, writing and math skills are incredibly important but the process of open ended inquiry helps to strengthen important science skills. If you have young builders, I can't recommend Magna-Tiles enough. I have seen kids age 4-9 play with these for hours on end in our afterschool program. They are durable and can create impressive structures in endless designs. Click on the image for more details. Snap Circuits are easy to use circuitry building toys. Pieces snap together to build working models of a photo-sensor, adjustable volume siren and 100 more activities. Several of my students have used these for science projects and just for fun. Suggested for ages 8 and up. Goldieblox and Roominates are building toys geared towards young female creators. Both allow for multiple designs to build and solve engineering challenges. Check out these Share it! Science posts on how to get involved in great citizen science projects. "The Great Backyard Bird Count and other Winter Citizen Science Projects"
"Penguin Watch and Other Ways YOU Can Be a Scientist"
"Insect Investigations: Summertime Citizen Science"
"Pathways to Science: NASA S'COOL and Project BudBurst"
How can you incorporate learning into your trips and summer vacation plans? It doesn't have to be hard. Build your child's map skills by keeping track of where you are going on a paper map they can trace. Play word games in the car that keep kids reading signs as you travel. Keep those math skills sharp by helping them budget their spending for souvenirs, or calculating speed or mileage. Explore nature by hiking, biking or canoeing- and bring along a field guide to identify animals and plants. Visit a zoo, aquarium, museum, national park or historical site and take advantage of the materials they offer for education (often there are pre-visit materials right on their website). The best thing you can do is to continue to learn yourself, kids benefit so much from curious parents! I hope that you have found some of these ideas, links or products inspiring and within your budget and time availability for this summer. Let's fight the summer slump! What ideas and plans do you have to stimulate learning in your children this year? Please share in the comments below! We finally have some color! 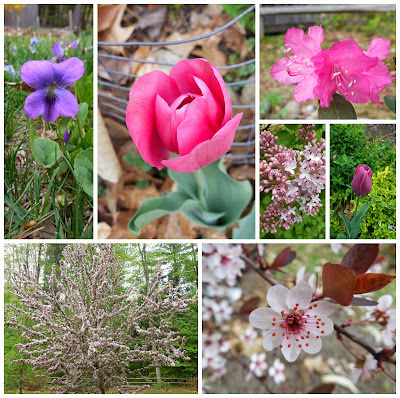 So thrilled to see things blooming around the yard. 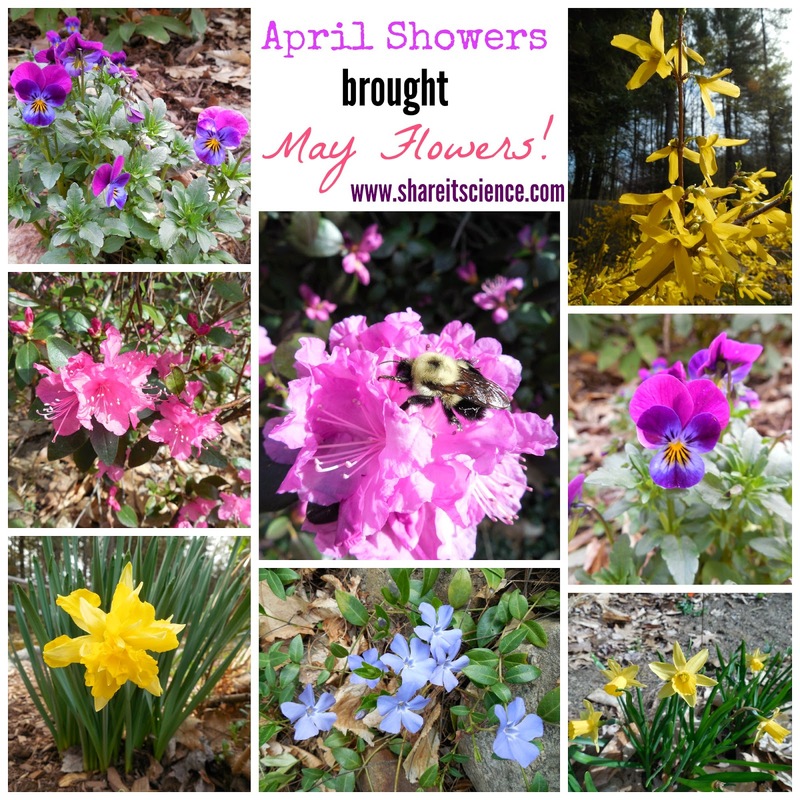 We've got azaleas, daffodils, jonquils, forsythia, vinca minor and violas this week. The strawberries are happy in their new patch. The first berries are ripening, the next step is getting the bird netting up to thwart wildlife thieves from eating our bounty. Looking forward to getting my veggies in the ground in the next few weeks. What do you have growing and blooming? Comment below! Wouldn't it be really cool to discover a new species? To heighten the thrill of discovery you also get to choose its name. Awesome! Most of you probably saw pictures in the past two weeks of the newly discovered glass frog, Hyalinobatrachium dianae, of Costa Rica. This new discovery got more notice than usual due to the frog's striking resemblance to one of our favorite Muppets- Kermit the Frog. Glass frogs were given their name due to the translucent skin of their underside. This skin allows one to see the internal organs of the frog from the outside. Several types of glass frogs live in Costa Rica, however, the last time a new one was discovered there was in 1973. 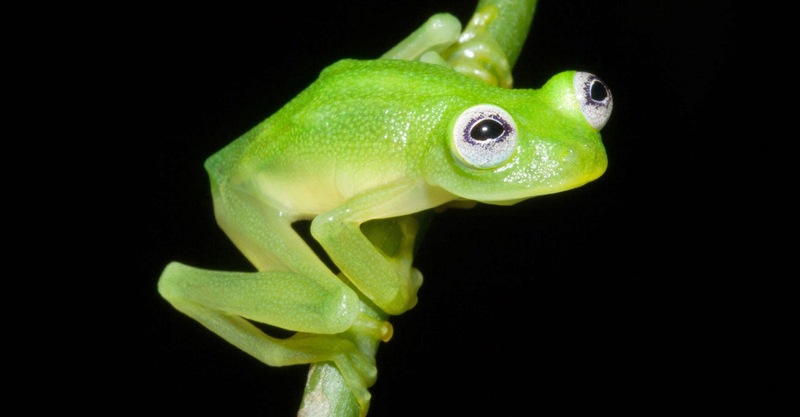 This new glass frog was named after the lead researcher's mother. What sets one species apart from another? How are animals and plants organized? 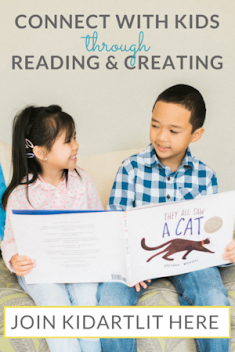 Using a new discovery, particularly one with so much kid-appeal, is a great launching point for lessons in identifying characteristics, biological classification and taxonomy across all age groups. Preschool/Early Childhood Education: Students can identify the different characteristics of an animal to begin to sort and classify creatures into groups. An easy approach would be to provide pictures or cards with different animals on them. Have students find the animals with wings or feathers, or have them count how many legs the animal has. Sort the animals with similar characteristics into groups. Depending on age and ability you could sort them in any way you choose- color, size or more specific characteristics. Just be sure to choose images where the characteristics are clear. For example identifying feathers on a penguin could be difficult. Elementary School: Given a set of animal characteristics have students create their own creature. What makes a bird a bird? Feathers, wings, 2 legs, beaks, hollow bones, builds nests, cares for young, lays eggs, has a backbone, etc. The students can now create a bird that fits these characteristics. To extend the activity have the students explain what habitat their bird needs, what it eats, how many eggs it lays, etc. This activity has always been a big hit in my experience. It is a good balance of creativity and reinforcement of science content. Middle School: Have students create a creature to teach them how to use a dichotomous key. A dichotomous key is a tool for identification. To identify a plant or animal you answer a series of 2 choice options until you have limited the options to one choice. #1 If the bird is larger than a pigeon go to #2. If the bird is smaller than a pigeon go to #4. #2 If the bird is brown and white go to #5. If the bird is completely white go to #6. Students can create their own examples of creatures and their own dichotomous key. I have found that it is easier if they begin with two similar yet slightly different new creatures. This way they have something to compare when they are making their key. Keys can be used as a class later on to identify what the new mystery creatures are. 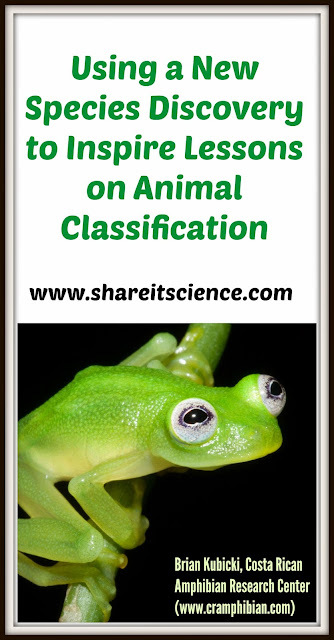 This can be a great lead in to using a dichotomous key to identify actual animals or plants. High School: As a lesson in taxonomy, or the classification of living things, have students create their own creature. Give the parameters that it should be new and unique, but within our realm of possibility. i.e. no unicorns that spit fire. Students can then work to fit their creature into the existing taxonomic ranks: Kingdom, Phylum, Class, Order, Family, Genus, Species. As they have created the animal, they will have the honor of naming the species. In order to place their new species accurately, they will have to study the different characteristics of the groupings within the taxonomic ranks. If all students are creating an animal, then the Kingdom for everyone will be Animalia. The University of Michigan's Animal Diversity Web is an excellent resource for this type of activity. Do you have a great animal classification activity? Comment below with your ideas! 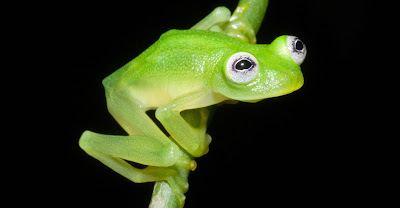 Costa Rican Amphibian Research Center: "New Glass Frog in Costa Rica"
Discovery: "Real-Life Kermit the Frog Found in Costa Rica"
Earthtouch News: "This is Not a Drill: Kermit the Frog is Real"